Mother, do you think they’ll drop the bomb? 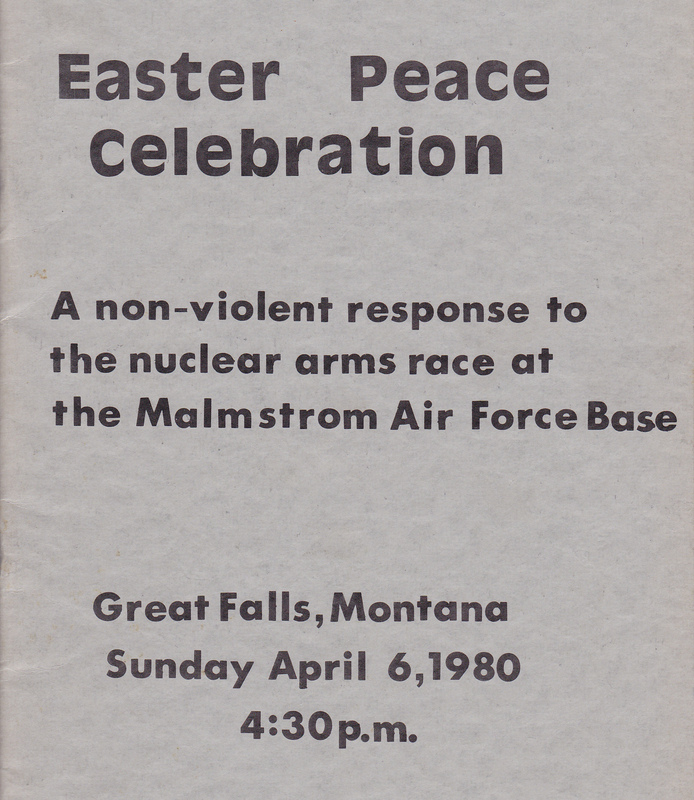 On Easter Sunday, 1980, I proceeded a with a group of protesters across a point of no return at the main entrance to Malmstrom Air Force Base near Great Falls. We walked forward deliberately and slowly against the previously delivered warning of the airmen guarding the gate. 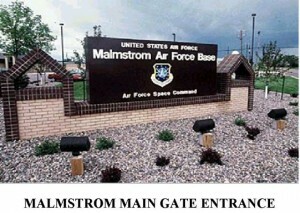 We had come in protest to the presence around Malmstrom of the largest missile field in North America. 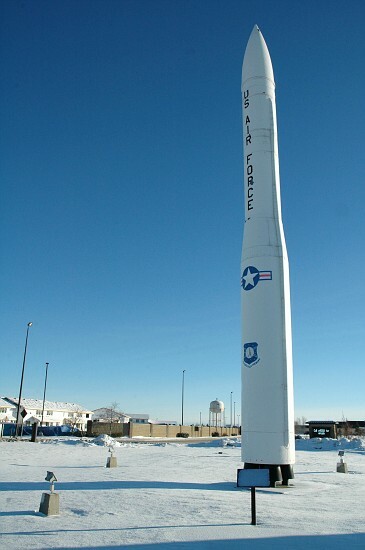 Over this vast area in north central Montana the rolling grassland was dotted with over 200 underground silos, each the home to a Minuteman ICBM armed with warheads capable of unimaginable destruction : city-killers. They were all aimed at targets in the Soviet Union. Undoubtedly, somewhere in the USSR, there were missiles pointing not only at US targets, but directly at this missile field. At 16, I was the youngest among the protesters. As we walked in a straight line over the threshold, we were arrested and taken to a holding room. It was a combination of fear, anger and conviction that drove me to join this group and decide to get myself arrested in protest. But it originated wholly of fear, when I was ten years old. I remember the day. It was in the fall of 1973, and I was in my first months at the Open Community School. 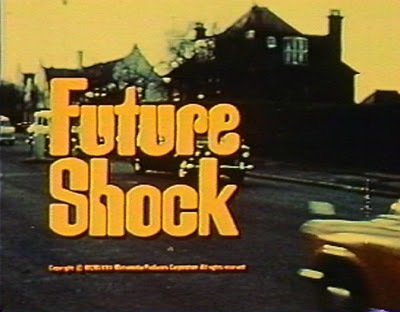 The Middle Group (mostly 2nd, 3rd and 4th graders) was shown a 1972 documentary film based on Alvin Toffler’s best-selling book, Future Shock. It was narrated by Orson Welles, and had the effect (on me, at least) of a dead-certain prediction of things to come. At times silly and dated, and full of what are now pop-sociology cliches, it was nevertheless disturbing and at moments terrifying, as was the opening montage. Imagine how it looked to 8-, 9- and 10 -year- olds! This was the first I had heard of nuclear weapons and the threat they posed to us. After the film our teacher explained a little about the arms race, weapons stockpiles, and the MAD (‘mutually assured destruction’) doctrine. Well, I was deeply troubled. We were talking, after all, about the end of the world. If that weren’t enough to rock my ten-year-old world, we were later treated to another documentary. I have not been able to track this film down, but I do know that it incorporated footage of the aftermath that had only just been declassified by the US Government in 1973. The film showed horrific images of the dead and dying, and survivors of the atomic blast. I’d never seen anything even remotely as appalling or frightening. 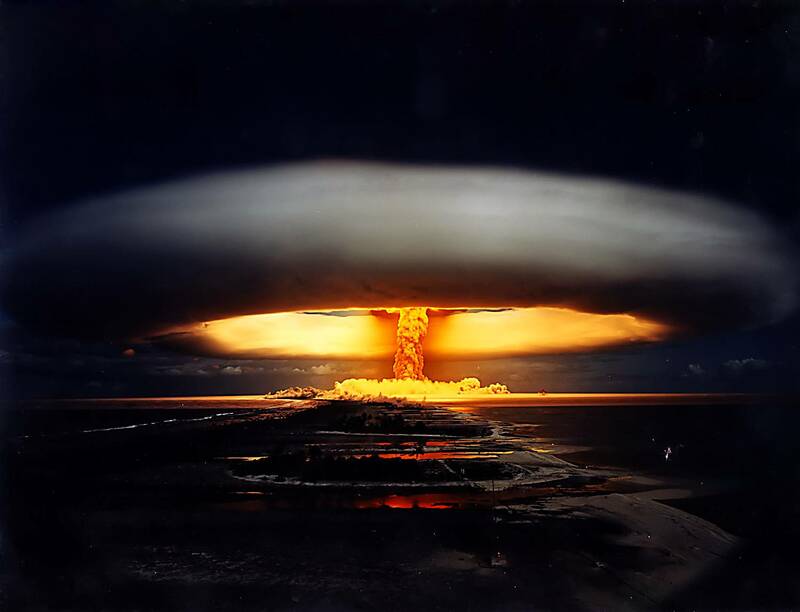 We were told that the superpowers possessed enough weapons – even hundreds of times more destructive than the Hiroshima bomb – to kill every person on the planet a hundred times over, and if we got into a war with the USSR, the world would be consumed in a global nuclear annihilation. This was the worst news I’d ever heard. It haunted me for the next eight years. The following school year I was spending the night at the rural home of my friend, Todd Mecklem. 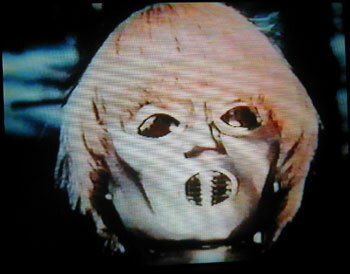 We always stayed up and watched Sinister Cinema, but rarely made it through the second feature. As I slept, I dreamed. I was sitting on the steps of our house. There was the sound of an air raid siren, and prop planes overhead. Someone pointed at a plane in the sky. Next, I was heading for shelter. I entered a large room with high ceilings. It looked like a bank lobby, with the curtains drawn over large windows. Scores of people were crowded in and sitting on the seats and the floor. I saw my mom, and sat with her. Dread filled the room, I felt it. We were waiting. Waiting for the bombs to drop. I knew if they did, it was the end. That was the first nightmare I had about imminent nuclear doom, but not the last. The others were just variations: with my dad, in a car, racing for shelter — and the blinding flash. As I thought about it I realized that what really troubled me was not the prospect of death by itself; even for a kid, my own death was not nearly as terrible as the death of everyone, the whole world. Chosen Survivors (1974). They escaped nuclear conflagration against their will, only to be overrun by killer bats. The irony! 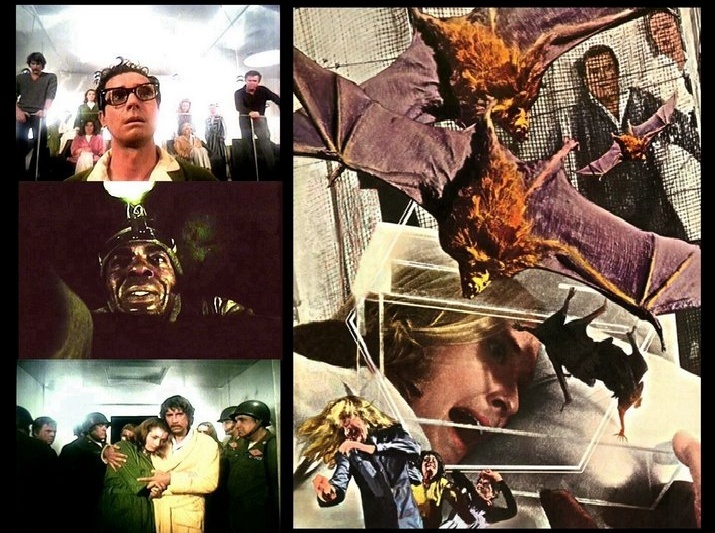 Over the years, my fear was fueled by movies such as the Planet of the Apes series, The Omega Man, Logan’s Run, Chosen Survivors (one of the worst movies I’ve ever seen), Dr. Strangelove, and Peter Watkins’ The War Game. I seemed to keep hearing that the future promised either: untold wonders of technological advances, space travel, medical miracles, etc. — or: total annihilation. As I got older and the fabulous space age did not emerge, it was looking like the annihilation-thingy was only a matter of time. 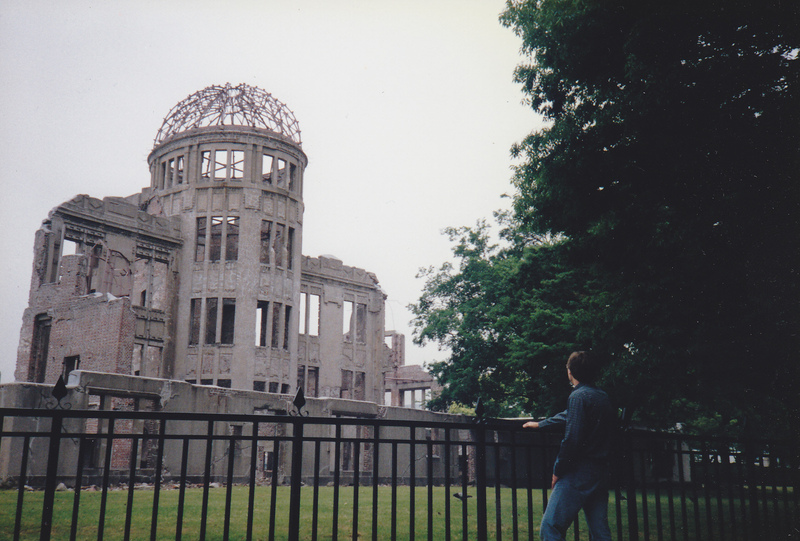 When I was a sophomore in high school, I saw a documentary on the arms race featuring a retired US Army colonel who was an antinuclear activist. I began to see how I could turn what was only helpless fear into activism and hope. I figured if you saw something wrong with the world you should work to fix it or sit down and shut up. And what was wrong with the world in my view was the existence of the weapons. So the obvious solution was to get rid of them, was it not? I decided to inform myself. I sent away to Sojourners, and they sent me a packet with articles, ideas for activism, and a map. As I unfolded it, it revealed the contiguous US and drawn on the map were all the nuclear targets in the event of a full exchange with the USSR. 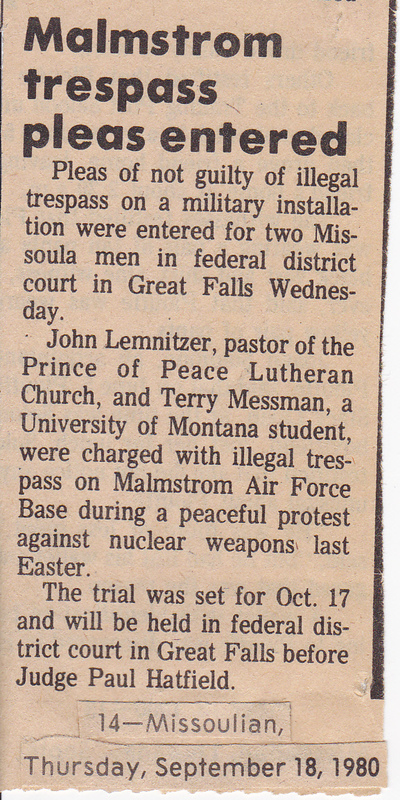 In Montana, where I now lived, it showed a huge area that represented the Minuteman missile field near Great Falls. The intent of the map was clear. In that, it was successful. My fear was refreshed, and outrage was now added, and I set about seeing what I could do. 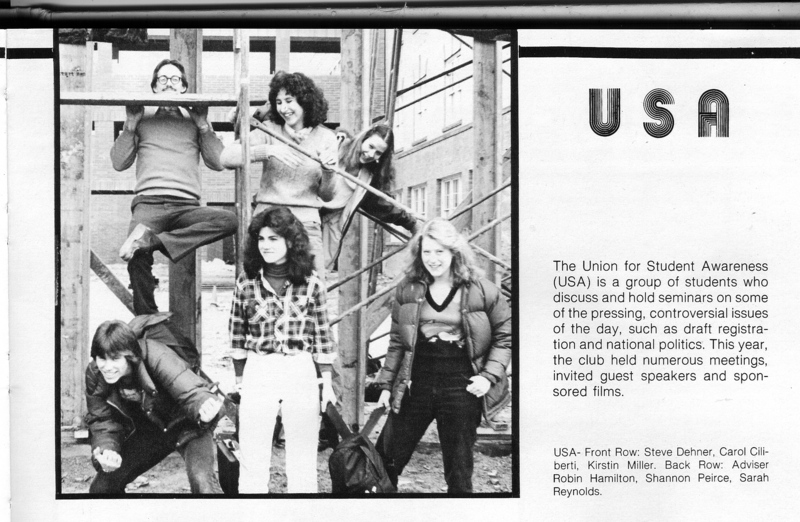 I became associated with leftwing activists at the University of Montana, the Student Action Center. I started a polital action club at Hellgate that I modeled after SAC: the Union for Student Awareness (USA). I asked my English teacher, Robin Hamilton, to serve as advisor. He now serves in the Montana legislature. SAC was planning an action for Easter (April 6) preceded by a week of meetings and forums on war & peace issues. On Monday, March 31st, the week’s featured speaker appeared on campus: Philip Berrigan, half of the famous Berrigan Brothers, the anti-war clergy-activists of the 60s and 70s. Just five months later they would launch the Plowshares Movement. In between noon and 8pm talks, he met with SAC and those would participate in the Easter Vigil action. We asked him questions about civil disobedience and the issues of the day. I told him I was planning to get arrested on Sunday, and he commended me for it. Two fingers, right? 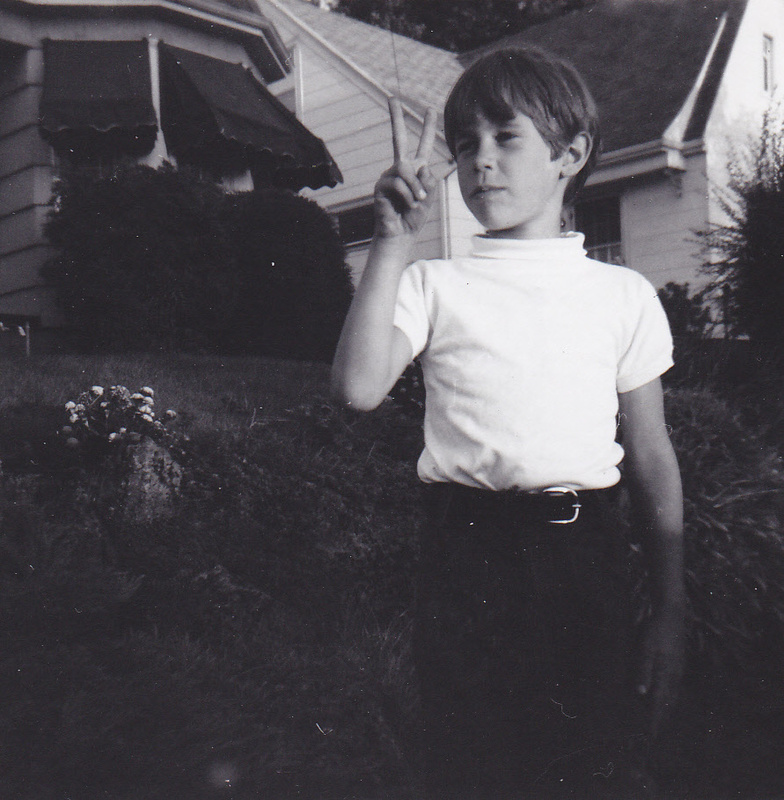 1970, age 7. It felt great to have a legend of the anti-war era, a man who spent years in jail for acting on his convictions, give me a pat on the back. But there was another person whose approval meant a lot more to me than Phil Berrigan’s: my Dad. He too was an anti-war activist who went to jail for his protests, and as a 7- and 8-year-old, I had accompanied him to planning meetings, marches and pickets. In finding what I thought was a good outlet for my anti-nuke feelings, I had also found a way to emulate Dad. Secretly, I hoped it would earn his respect, something most boys crave from their fathers. On Saturday night they offered a free showing of the famous 1974 anti-Vietnam war documentary, Hearts and Minds, another film that I (again, alarmingly) had seen when I was about 12. The film was going to be delivered on Friday, so I asked SAC if I could show it Friday night at Hellgate. They agreed, as long as I confined my advertising to the high school. I plastered fliers all over the school with just a day or two’s notice. I had to go over to the U campus and walk the film back to school, a herculean task I was barely able to manage. We had an enormous turnout and it was the most successful event USA carried off. Late that night I walked the reels back to the campus. When we crossed the line of trespass, the guards escorted us to some concrete room, where we spent hours being processed and awaiting our disposition. When I decided to get arrested, I had agreed to accept whatever charges and sentencing I might receive. I had my parents blessing in this. I did not know how it would turn out. At the end of the day all but John and Terry were released and no charges were brought against the rest of us. When the final results were tallied, the nukes were still in their silos and we were going home with a great sense of satisfaction. But as any radical knows, that is not one’s general experience in life. A radical eventually comes up against the annoying little fact that hardly anybody in the world, even your non-radical friends, really see things the way you do: that’s why you’re called a radical. When I would venture to claim that we were in danger of incinerating the entire human race, I’d be met with, “Wow. Bummer!” and a shrug. This failure of the rest of the world to see the outrage it should have leads to constant frustration. This is why radicals inevitably grow angry and resentful. They come to hate American society (If they didn’t already) for it’s moderate-to-conservative outlook, and their own inability to change it. “If no one can see things as I do, they must be morons! Or corrupt. Corrupt morons!” Americans in a nutshell, for your average radical. I quickly started down this path. But I think I had some sense or at least some doubt about where it was heading. It may have been that I was just growing a little more pessimistic about social change. After the elections of 1980, it did not look as though things were going our way. That didn’t mean I wanted to give up, I just meant I would have to come to terms with things as they were. After my rebirth in 1982, I looked at the prospective end of the world in a very different way. I believe that God has committed to humanity the stewardship of the earth, but not its fate. Human history and its ultimate disposition are in His hands, not ours. But I also eventually came to look at weapons differently as well. Weapons alone are not fearful. The evil that can be done with them proceeds from the human heart, the ultimate weapon of mass destruction. A knife, a club, an airliner – they only pose a threat in the hands of someone of ill-will. Men as powerful as Hitler or Stalin had no atomic weapons before 1945, but look what they had done by then. Nukes have not been used since 1945, but we shouldn’t assume that it has nothing to do with the people and nations that have them. Turn just one nuke over to Ahmadinejad and you can march, chant, trespass, and pound nose cones all you want, but if you live in Tel Aviv, you’re dead. In my view I wasted my time on any effort to get nuclear weapons out of the hands of responsible nations that would probably never use them. And as far as activism goes, it will never wrest such weapons from the nations or groups that would use them. You can only try to stop them from acquiring them and keep the price very high for using them. For that, you need the US government and its military forces. It’s been more than six and a half years since The Passion of the Christ was released. I still have not seen it. This is by choice, not by chance. Since I am writing a series of reviews of all the major films that portray the story of Jesus, I thought I should explain why this one – by far the most popular and highest-grossing Jesus movie ever – is being omitted, at least for the time being. My reasons are both personal and theological. Let me say at the outset that my reasons have nothing to do with the man who made the film, Mel Gibson. Even though I think his personal life indicates that he is a deeply troubled man with some serious failings, that alone would not keep me from seeing it. After all, Richard Wagner was at least as flawed, and I listen to his music. Also, the fact that the film was controversial would not have kept me away. The Last Temptation of Christ was also controversial, and I saw it. More on this point later. The film was released three months, almost to the day, after the death of our 13-year-old son in an automobile accident. At the time our 11-year-old daughter had just awoken from two and a half months in a coma, and my wife was living at the hospital with her. At this point any sensible person would say that alone was reason enough why I wouldn’t go running off to the movies. But actually, just once I had gone to the movies (The Return of the King). And I wish I hadn’t, at least when I did. But one typically considers seeing a movie when everyone else is seeing it, when it is being widely discussed and, in this case, debated. I went though a lot of anguish and inner struggle over having lost my son. As a Christian, it was not a crisis of faith so much as a trial of faith. I felt like the soldier on the battlefield who is having his leg amputated after the anesthetic has run out. I know I can live through it, and know I must endure it, but that does not take the pain away. Will the fire refine me or burn me up? All of this to say, I couldn’t contemplate watching a whole movie that focused on Jesus’ death. Death had gutted me: I’d had enough of it. “Well, it wasn’t just any death. Maybe it would have helped.” I doubt it. Another reason: I was horrified at reports of people walking into the theater with their little kids, buckets of popcorn and half-liters of pop as if they settling in for Toy Story. This is not just a movie, and it is certainly not for the little ones. This is like Schindler’s List or Saving Private Ryan. It calls you to witness a harrowing portrayal of suffering that will not amuse you. It is not entertainment. Perhaps in a few months I could sit through such an experience, but I could not sit with such an audience. I certainly could not abide people subjecting their children to such an ordeal. I would have to watch it alone. And the people plot vain things? Of course, I would have to see the movie to know for sure, but if the charge is that the movie is anti-Jewish because the New Testament is, I don’t accept the premise. Just because the Jewish leaders are villains does not make the narrative anti-Jewish. All the the heroes are Jewish as well – not the least the rabbi Yeshua himself. …and more regrettably from lesser forms of popular art, like those found in old family bibles or on prayer cards. The Passion is to those sanitized portraits, I imagine, what P.O.D. is to Evie. And it’s true. 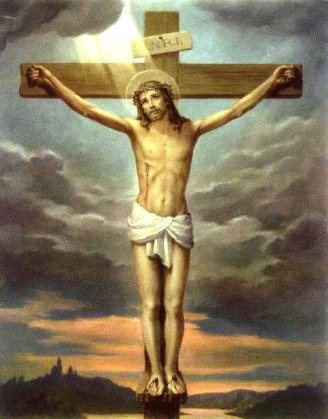 He did suffer these things on behalf of everyone of us. The New Testament says this very clearly, and I do not disagree. But what it does not include is any of the vivid details. That’s because it was neither necessary – most readers and hearers were all too familiar with the cruel practices of the day – nor was it central to the point of His sufferings. The meaning of His suffering is profound, and it is considered from more than one perspective in the NT. We are to understand it as the ultimate form of humilty and obedience. It is a model of suffering for us, that is, it makes our character and conforms it more to Christ’s. It paid the penalty in full for all the sins of the world. It reveals the full extent of God’s love for humanity. To understand this should not require – and apparently the writers of the NT agreed – a detailed mental image of butchery and mutilation. 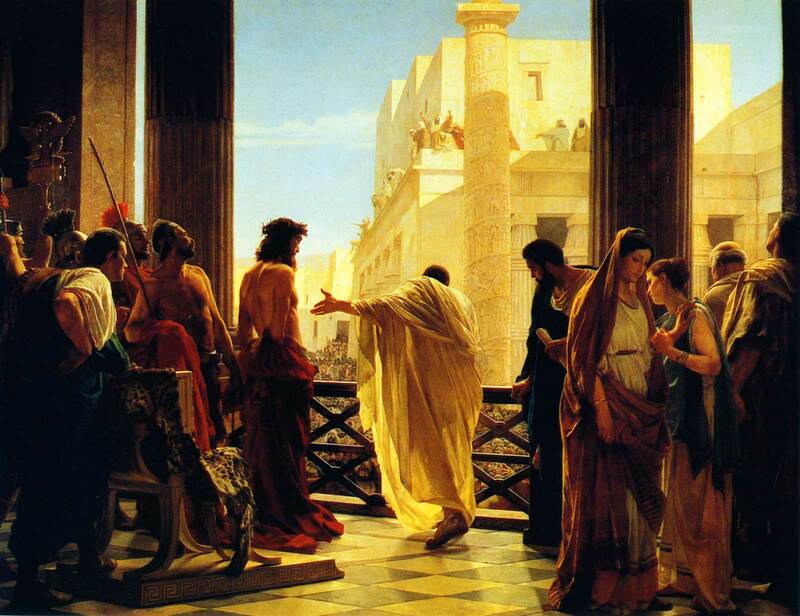 The point of His torture and death is spiritual and theological not physiological. To have witnessed the events would have elicited an R-rating, but to understand what they meant in the fullest sense certainly does not. Perhaps someday I may feel differently about the prospect of watching The Passion of the Christ. From what I have read, it is an extraordinary film. But it is hard for me to foresee gaining so much from it that it would outweigh the ordeal of watching it. Two thoughts came to mind. One is, I may be a little too facetious for the first- and second-graders class. But that will be for another post. The other is that I am still mourning my lost love for Star Wars. Even though its been exactly eleven years since the first of the last three films began to undermine my enjoyment of the first three films, it still irritates me that the sterile, fun-free, computer-generated episodes have the effect of diminishing movies that were a kind of cultural laser cannon cutting through the nihilistic gloom of 70s cinema. How did this happen? Well, it feels as if your grandpa dragged all your childhood toys out of a closet and pounded the daylights out of them for six hours. You can revive your enjoyable memories, but you’ll never look at them or grandpa the same way. Grandpa is, of course, George Lucas. He took all your old imaginary friends and pounded every last sign of life out of them. He made them silly and boring. He bogged them down in trade disputes, embargoes and – heaven help us – politics. Worst of all, he infected all three films with something the first three were refreshingly absent: cynicism. Yuck. For that I can go back and watch old Billy Wilder films. His cynicism was at least entertaining. None of my kids at any age have had the least notion of what these movies are about. Heroism? Valor? Good versus evil? Outnumbered democratic republicans versus the evil empire? Uh, no. It’s about the whiniest, moodiest teenage Jedi punk you ever laid eyes on. Sorry kids, in this movie the good guys stand around, clueless and feckless, muttering dark suspicions while the empire rises under their noses. Fun for the whole family! When Episode One came out, I told my friends that I thought Lucas had failed in deciding who the films should be about. He chose Annakin Skywalker, committing himself to a downward, suspense-free story arc in which the main character sinks ever deeper into himself and the dark side. It was bound to be a complete bummer, and as it turned out, it was. In my view, the story in these episodes should have been about Obi-wan Kenobi. Showing the glory days of the Republic would have illustrated what it was that the Rebels were later fighting for so valiantly. It would have made sense. And it would have been fun, just maybe. In my story, the Skywalker story would have been secondary, and probably confined to the third and perhaps the second episode. Sure, show the rise of the Empire, but for crying out loud, have something decent to contrast it with! Lucas gave us a completely lame Republic that left us wondering what the rebels would have even been fighting for 20 years later. Sadly, I’m afraid it is Lucas himself who could no longer pretend to believe there is anything worth fighting for, so, in a sense, if there is such a faith in the old movies, he has now renounced it. Sam: That there’s some good in this world, and it’s worth fighting for. LOTR managed to portray evil in three dimensions, while rejecting both naivete and cynicism. Star Wars, all six films, suffer so much in comparison to this masterpiece of mythic – truly mythic – storytelling, that it is hard for me to ever see the old movies the way I did as a teenager when they were new. In fact, the supposed mythic underpinnings of the first three films are quite open to question. This salon.com article from 2002 blows some big holes in the SW mythical mythmaking. The Salon piece by Steven Hart points out that Lucas’ “inspiration” for SW was largely pulp sci-fi (and more respected works), not the mythic themes of the ancient epic story-tellers. But grasping the weight that could be lent his films by making such claims, Lucas, sometime after the first film was out, began citing, not old sci-fi pulp mags and paperbacks, but revered samurai films and the writings of Joseph Campbell (who himself deserves to be taken down a few credibility notches). These claims have only grown more pompous and inflated over the years. And his attempt to “deal with issues that exist today,” accounts for most of my complaints about the last three episodes. If I wanted him to do that, I’d suggest he get a cable news show. I prefer he tell a good story and have some fun doing it. I personally don’t need an intellectual or high-culture justification for enjoying a movie. Especially a fake one. In spite of all this, I can actually still find enjoyment, even if diminished, in the first three films. But I have to try to forget all the silly claims of seriousness and purported involuntary submission of my subconscious mind to George Lucas’ all-powerful myth-making skills. I have to try and watch them as I did when I was was a thirteen-year-old boy watching Star Wars for the first time at the movie theater in Seaside, Oregon in the summer of 1977. I had been nurtured on Ray Harryhausen, Arthur Clarke, Ray Bradbury and Rod Serling, but rarely had experienced their kind of story telling on the big screen. Star Wars exploded before our eyes with magic, imagination, heroism and fun. That’s why we loved it, George.